PM Modi on Monday inaugurated IIT Bhubaneswar campus and laid foundation stone of IISER and other development projects. Prime Minister Narendra Modi on Monday visited Odisha and unveiled projects worth around Rs 15,000 crore in the state. During his brief visit, he dedicated the new campus of IIT-Bhubaneswar at Aragul. The campus is built at a cost of Rs 1660 crore. PM also launched a slew of projects related to health, higher education, road and highways and culture via video conferencing from there. He will visit Odisha again, twice next month. Modi will visit the state to address two meetings on January 5 and January 16, BJP state in-charge Arun Singh said. Asserting that a wave of change is now sweeping across Odisha ahead of Lok Sabha elections 2019, the BJP state in-charge said the prime minister is all set to visit the state twice in January next year. On Monday, the prime minister addressed a public meeting near Khurda. The prime minister will unveil several developmental projects worth Rs 15,000 crore in line with his vision of “PURBODAYA” -a prosperous East for building a new India, said Union Petroleum Minister Dharmendra Pradhan, who took stock of preparations for Modi’s one-day Odisha visit. Thereafter, the PM will also address a gathering from the foothills of Barunei hills near Khurda – the land of ‘Paika Rebellion’, he added. Pradhan said these projects will bring unprecedented development to the state. Modi will lay the foundation stone for a permanent campus of Indian Institute of Science Education and Research in Berhampur, Paradip-Hyderabad product pipeline, six-laning of the Chandikhole-Bhadrak section of NH-16, construction of Bokaro-Angul section of Jagdishpur-Haldia and Bokaro-Dhamra gas pipeline project and four-laning of Cuttack-Angul section of NH-42. 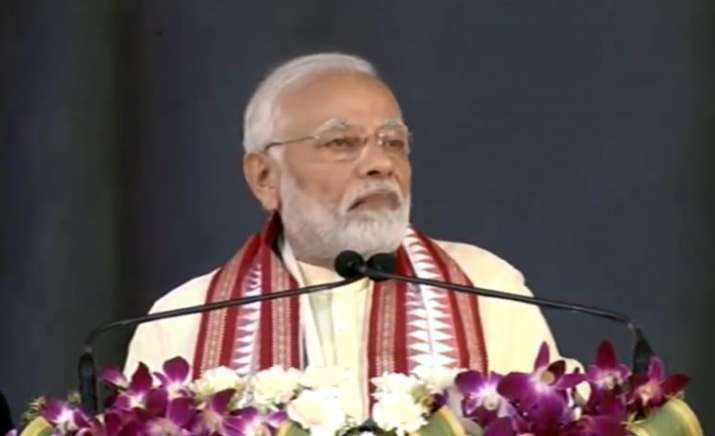 The prime minister also inaugurated new facility of the Employees’ State Insurance Corporation (ESIC) hospital in Bhubaneshwar which came up at a cost of Rs 73.5 crore. He also inaugurated the archeological museum at Lalitgiri, one of the earliest Buddhist settlements in Odisha situated 120 km north of Bhubaneshwar. 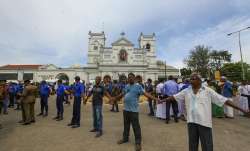 A thick security blanket was laid for the PM’s visit, said Inspector General of Police (Central Range), Soumendra Priyadarshi.